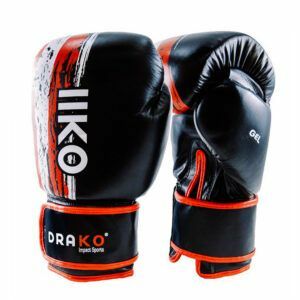 The Drako Youth Dynamite Gloves are great starter gloves for kids in Boxing, Kickboxing or Muay Thai. With its striking yellow and black colours in high quality PU material, it is guaranteed to please the crowd. Note: the ounces measurement refers to the weight of the padding the glove has, but also to the size of the hand compartment. The 8oz and 10oz sizes are best suited for children and young adult hands and the 12-16oz sizes are best for adult hands; however, the adult sizes are one-size-fits-all. 8oz boxing gloves: these amateur boxing gloves are excellent for young students and children with small hands. 10oz boxing gloves: we suggest this size for young adults and adults with small hands. This glove is ideal for pad and bag work and is a great choice for cardio kickboxing classes. 12oz boxing gloves: this glove is ideal for pad and bag work for both male and female students. It is the #1 choice for cardio kickboxing and boxing classes. 14oz boxing gloves: these are great multi-use gloves for light sparring and pad/bag work. 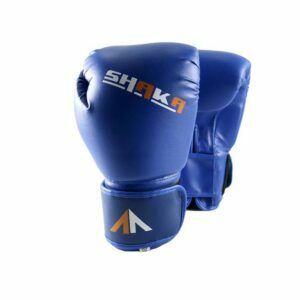 They are ideal for most kickboxing and boxing classes. 16oz boxing gloves: these gloves are best for sparring sessions and rigorous training because they offer a large amount of protection for the user and help to prevent injuries. Note: we provide this size guide to give you a good idea of which glove is best for you, but it is always better to consult your instructor or one of our staff. That way, you can be sure about which glove is perfect for your needs. Ask your instructor today if the Drako Youth Dynamite Gloves are right for you! All Drako boxing gloves are manufactured to the highest standards of quality, using both durable materials and innovative design. Drako also ensures that all factories that manufacture their products are ISO approved. This means that the factories meet acceptable, safe, and humane working conditions for labourers.